We’ve seen Alcatraz from the Bay and toured the island. Today, we’re visiting the cellhouse! Take a look at the diagram for an overview of its layout. 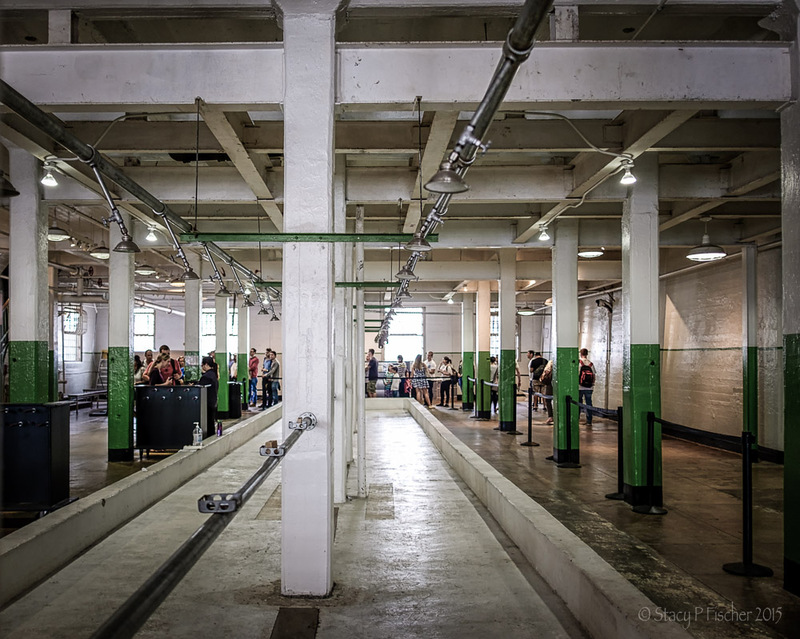 Visitors begin the cellhouse tour in the shower room, located on the floor beneath the cellblocks. 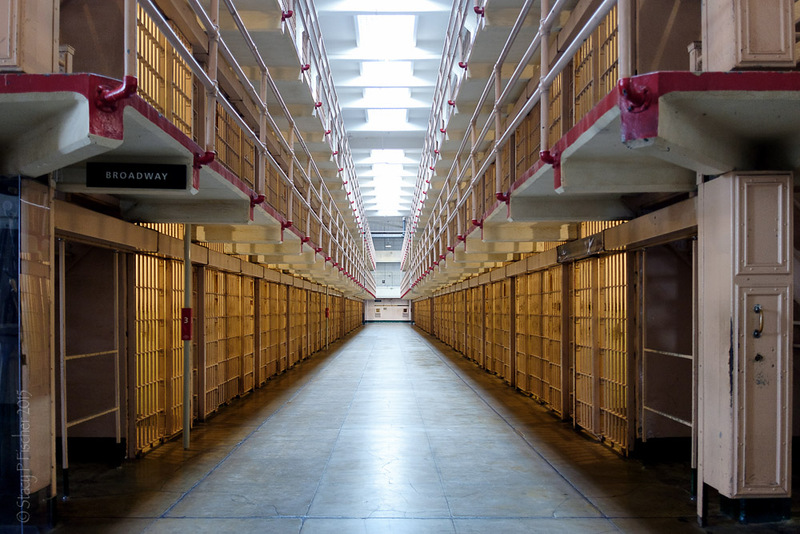 Inmates showered twice a week (those who worked in the kitchen showered three times a week). Clothing Issue is at the west end of the shower room. 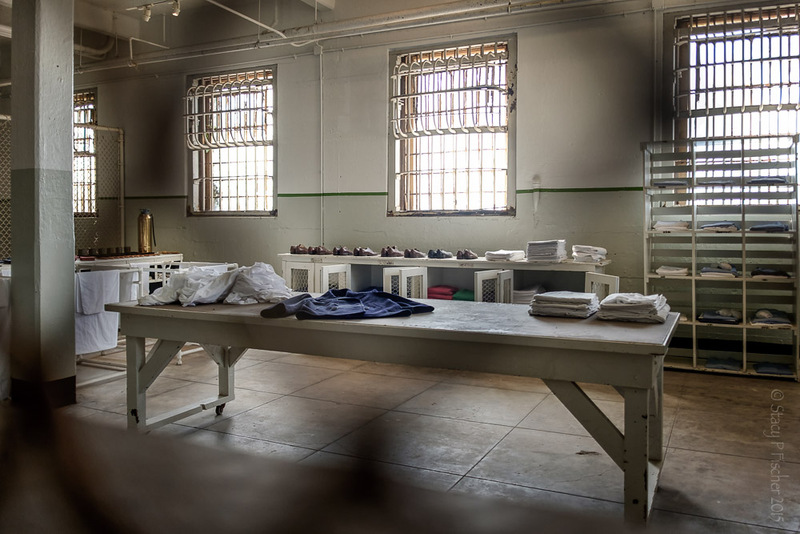 Here, inmates would turn in their soiled clothing for clean clothing. 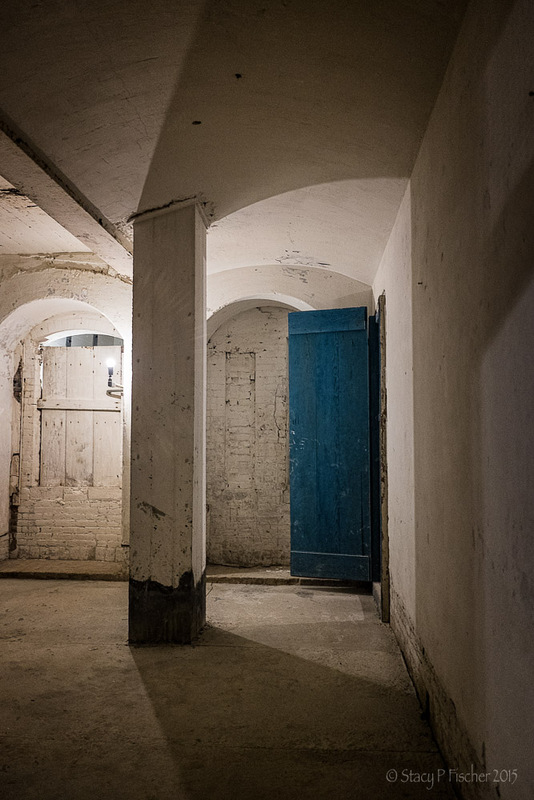 Before leaving the shower room, visitors are issued headsets for the audio portion of the tour and then ascend a set of stairs to the cellhouse. There are three cell blocks, A, B and C, running parallel to each other. A Block is the shortest, while B and C run the length of most of the main building. 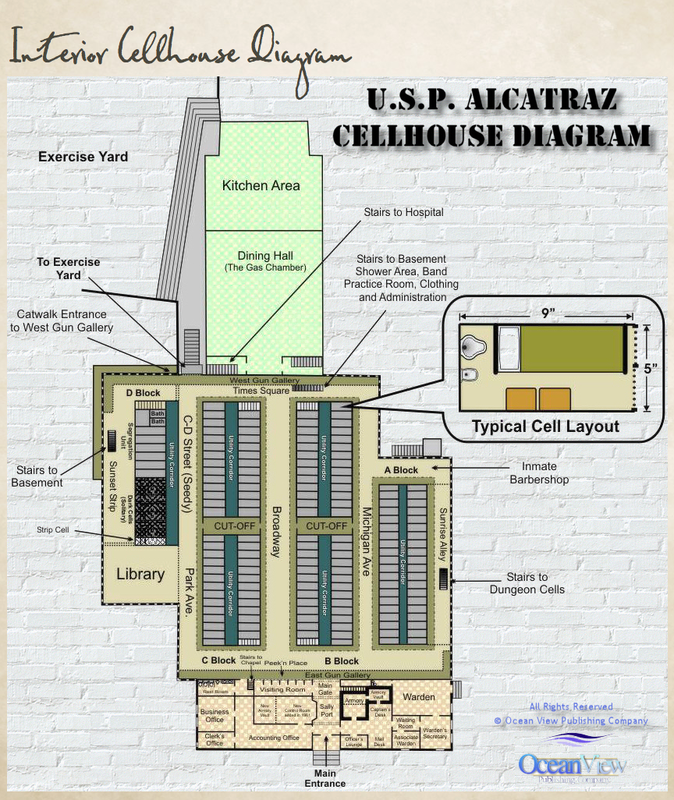 Each cell block is three tiers high. 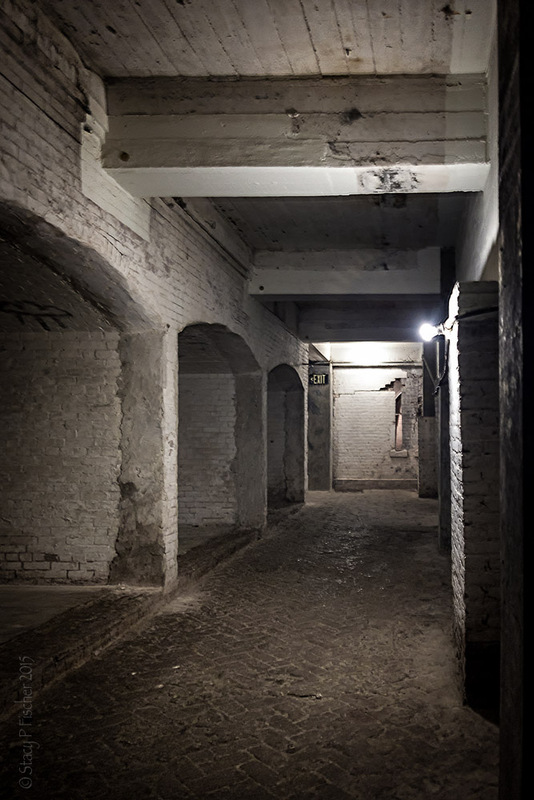 Broadway is the main corridor of the cellhouse, dividing B and C Blocks. Because I had managed to hoof it up the 1/4 mile hill before the rest of the crowd, I was able to get the shot I was after: Broadway – empty! Between A and B Blocks. This is where the audio tour begins. Outer side of C Block. This is the row of cells on the outer side of A Block. 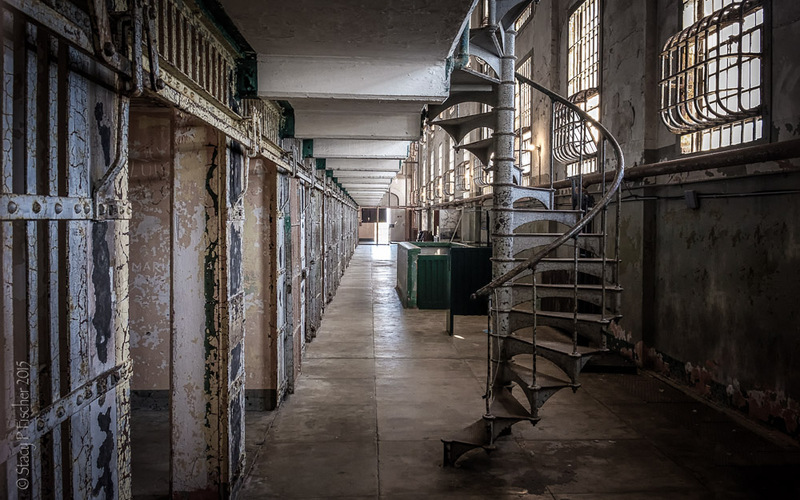 Because the Bureau of Prisons never intended to use A Block for prisoners, they remain as they were when Alcatraz was a military prison, with an original spiral staircase, softer flat iron bars (more easily pried open), and single-key cell door locks. 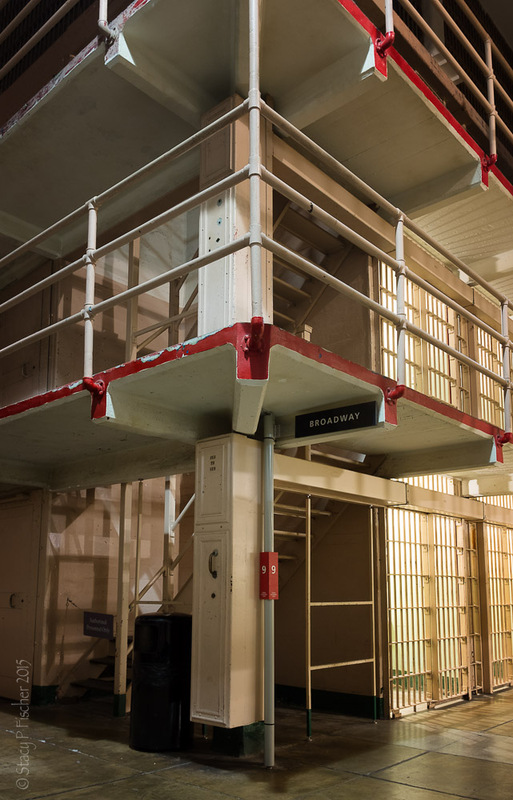 B and C blocks were remodeled with thicker, hardened steel bars and a mechanical locking system that allowed guards to open certain cell doors or groups of cell doors remotely, by pulling levers at a control panel. Take note of the green enclosure in the middle of Sunrise Alley. We’ll revisit this in The Citadel, below. 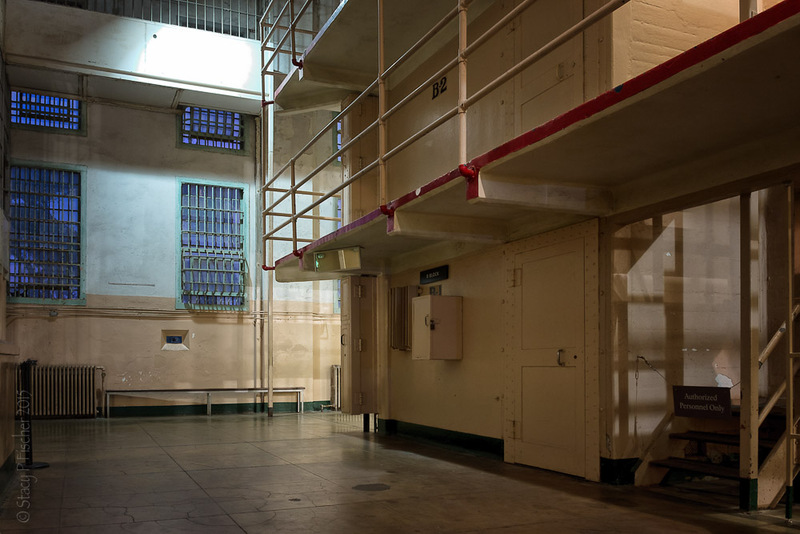 Alcatraz, the military prison, was built to accommodate about 600 prisoners, but as a federal prison, it housed inmates in the 336 cells that comprised B and C Blocks. 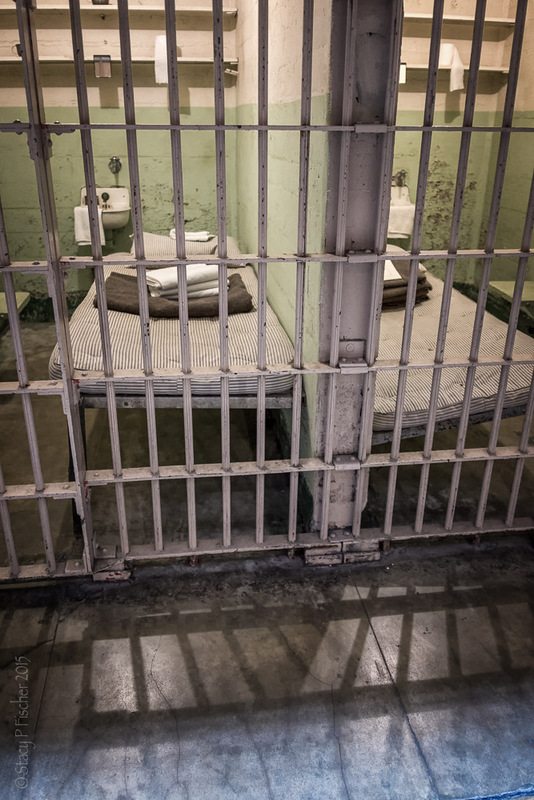 Each cell was 5 feet (1.5 m) wide by 9 feet (2.7 m) deep and contained a bed, a sink with cold running water, a toilet, and a small desk for writing. Two shelves for personal items ran along the back wall. 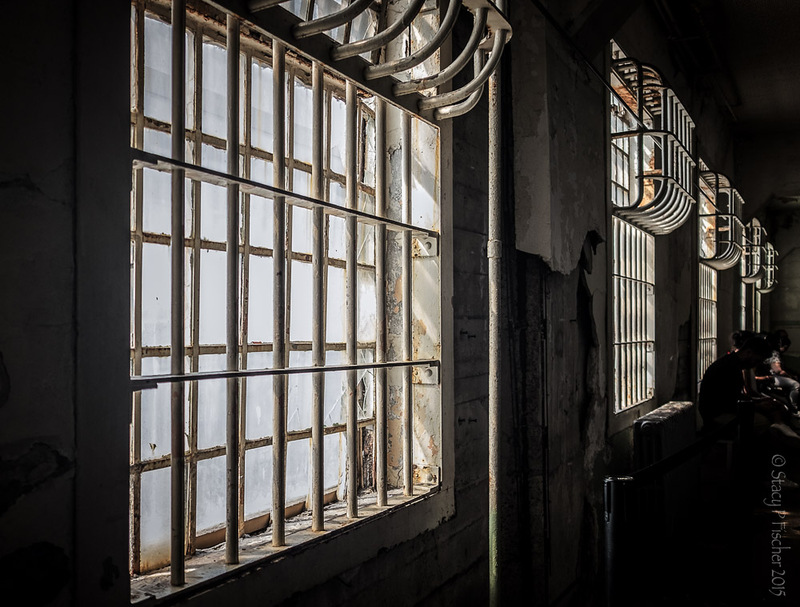 Three of the cell walls were solid concrete, while the front was barred with hardened steel. Only one prisoner lived in each cell. 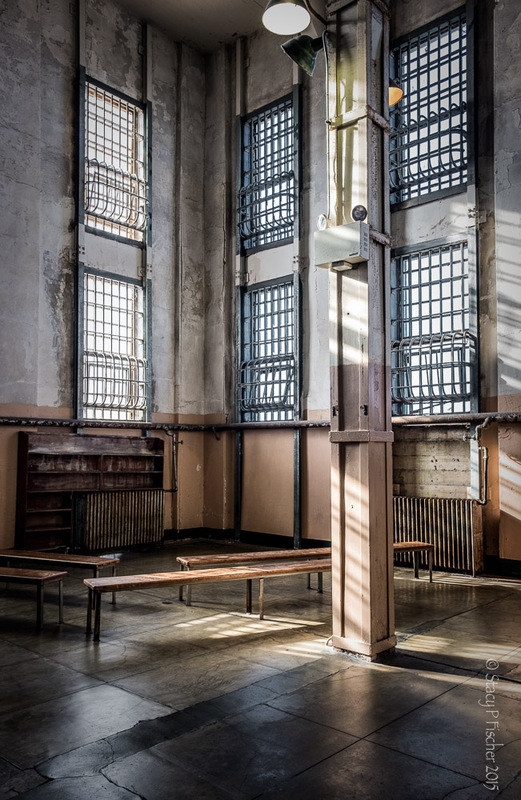 Inmates were never directly sentenced to Alcatraz; they came from other federal penitentiaries, sent to Alcatraz because they either refused to to conform to the rules at other federal prisons, were considered violent and dangerous, or were considered escape risks. 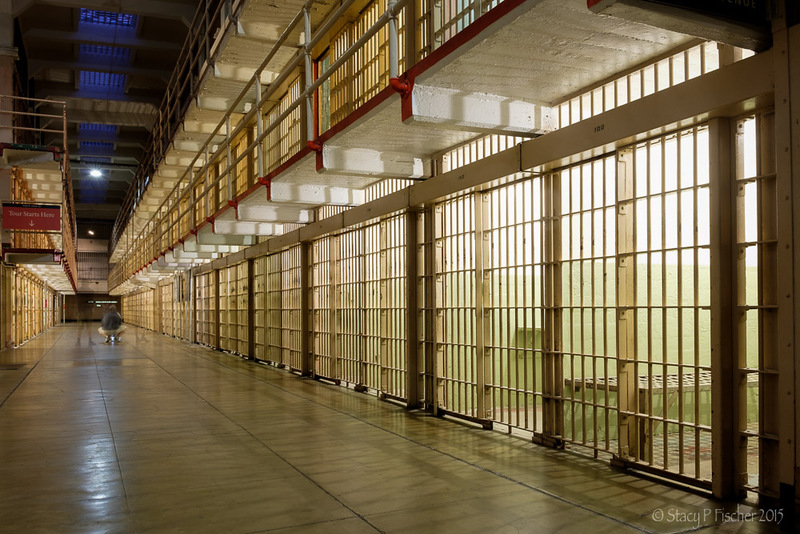 The highest number of prisoners ever recorded was 302; the lowest, 222. The average length of stay was about eight years. 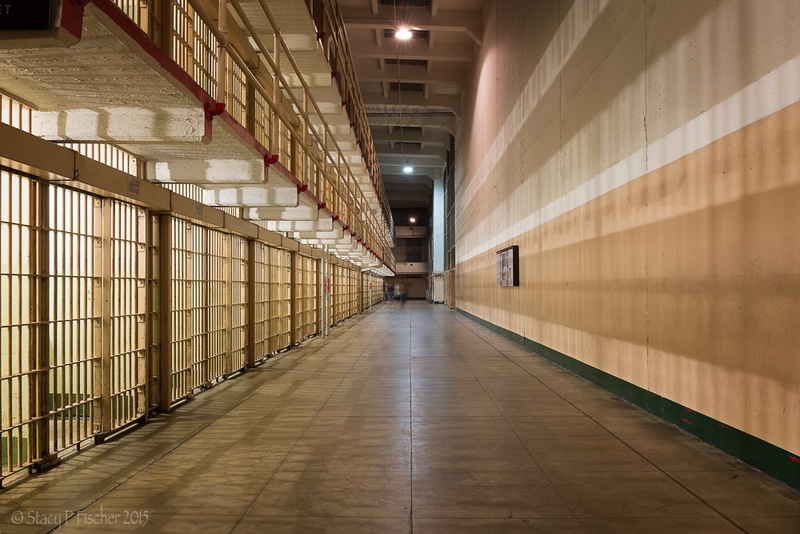 The average number of inmates during the 29 years Alcatraz served as a federal penitentiary was around 260. There were approximately 1545 total men imprisoned there. 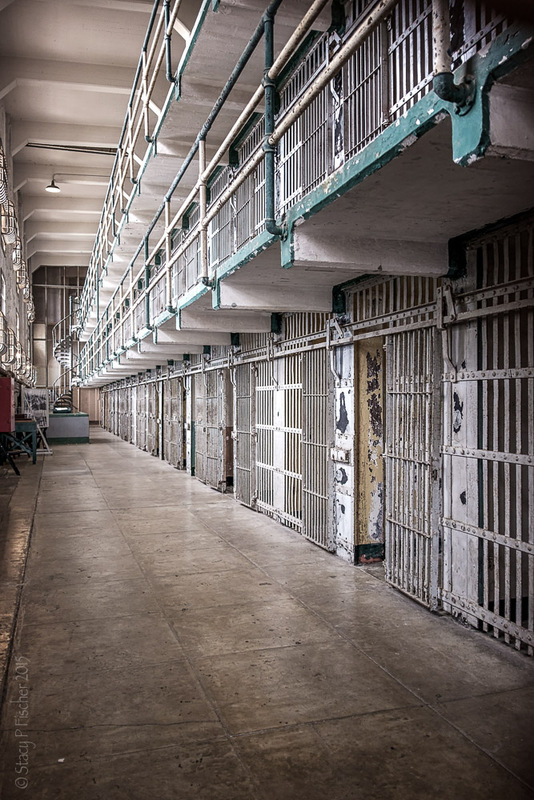 Inmates who broke prison rules could end up in one of 36 segregation cells in D Block, where they spent 24 hours a day in their cell except for one visit per week to the recreation yard. 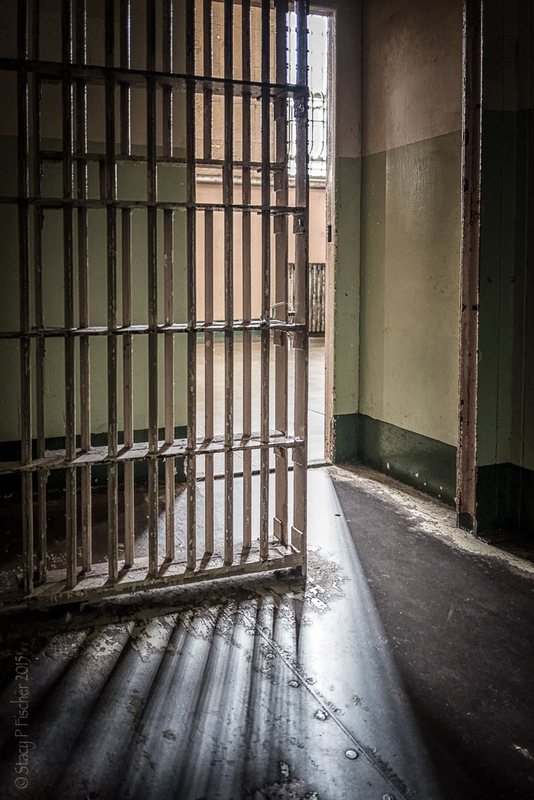 A prisoner who continued their behavioral problems or one who committed a violent act while part of the general population could end up in one of six “dark cells” on D Block. 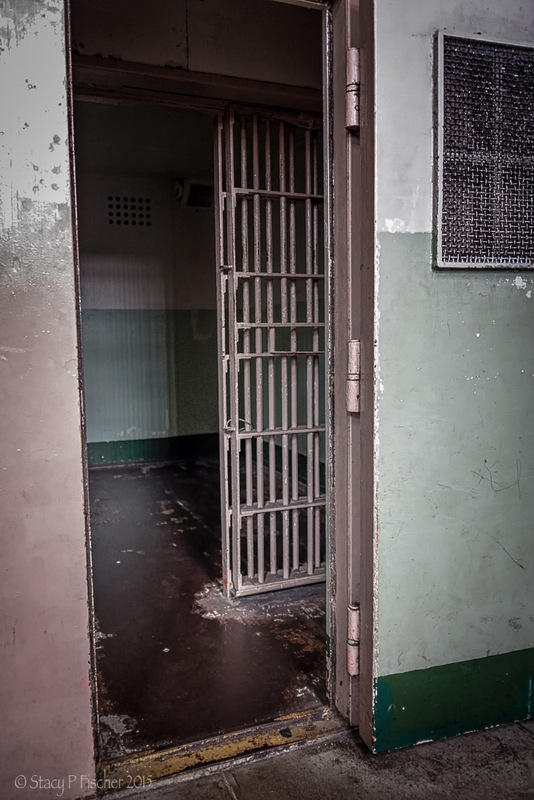 Each cell had two doors (the inner barred door with a slot for food – like all of the other D Block cells – and an outer solid steel door which, when closed, left the inmate in complete darkness). 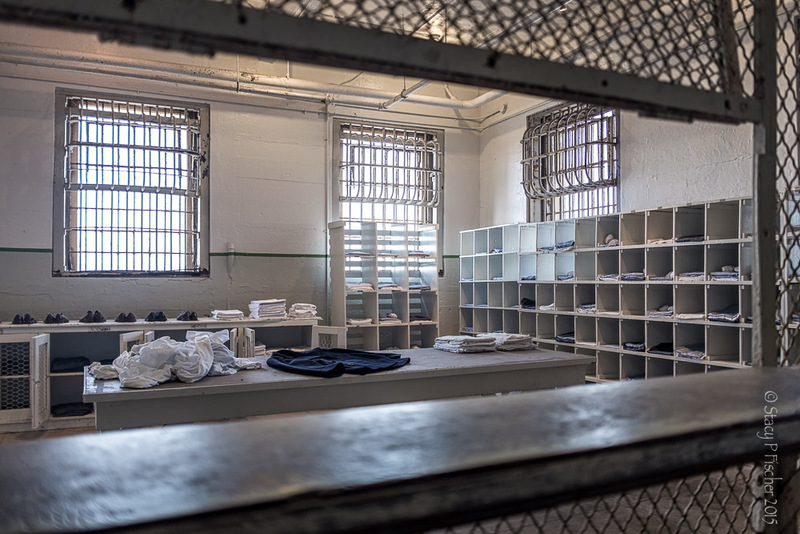 The first five of these cells had a sink, a toilet, and a mattress (given to the inmate at night, but taken out in the morning); inmates could spend up to 19 consecutive days in these cells. 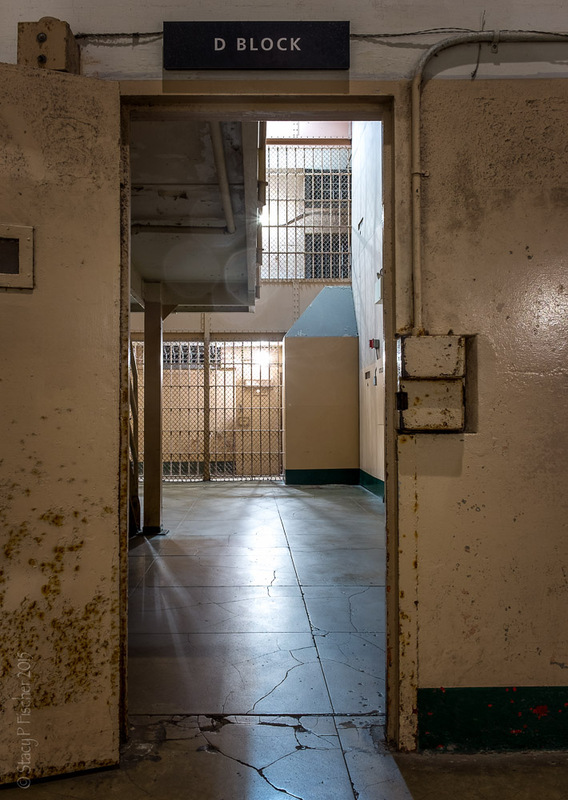 The sixth cell, the “strip cell” at the end, was for the worst of the worst: inmates were stripped naked and the cell only had a hole in the floor that could be flushed by the guard. Two days incarceration was the limit for this cell. Over the years, the library grew to 15,000 volumes. 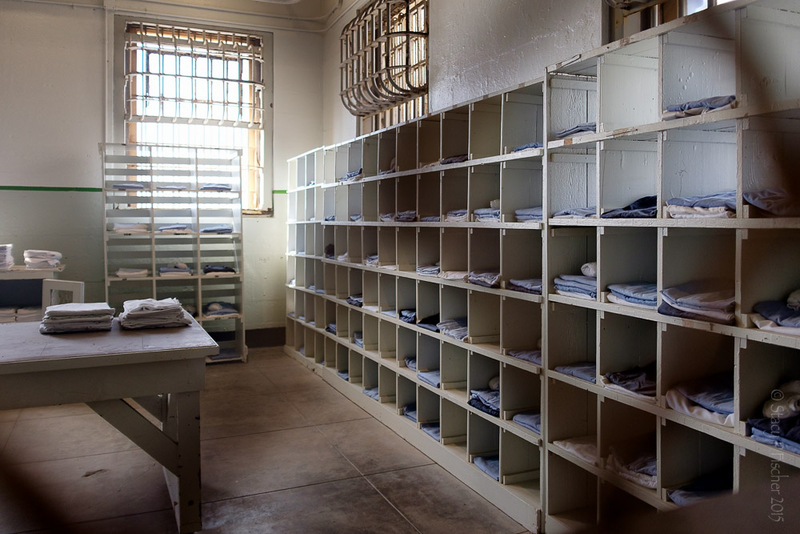 Books were delivered to an inmate’s cell during the day. The area between the cell blocks and the dining hall. I’m assuming the inmates chose this name because of the clock. 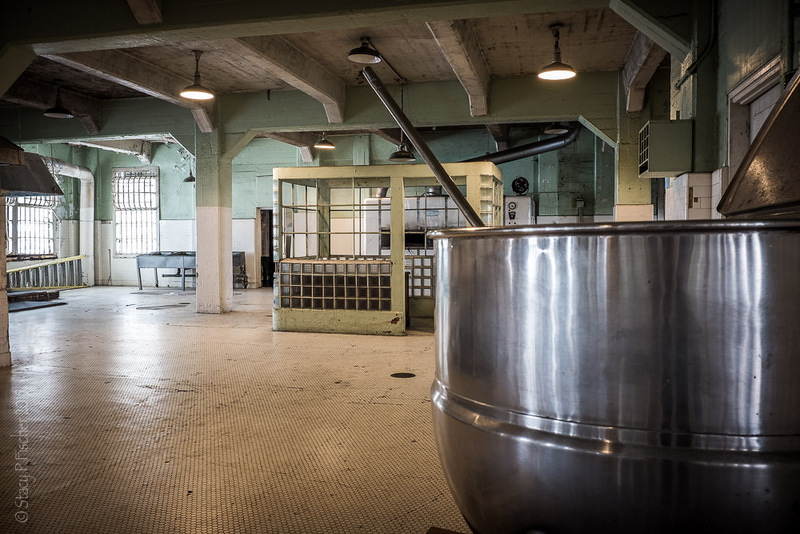 Food on Alcatraz was thought to be the best in the prison system. In fact, the guards ate the same food the prisoners did. Inmates could take as much as they wanted but had to finish what they took or were not allowed their next meal. Armed guards stood watch over the hall from caged gun galleries above the hall. In addition, tear gas canisters were installed in the ceiling in case trouble arose, but they were never used. Alcatraz, the federal penitentiary, was built on top of the basement of The Citadel, the original Alcatraz military fort. I had the opportunity to explore this space with a park guide and two other visitors, simply because I asked! 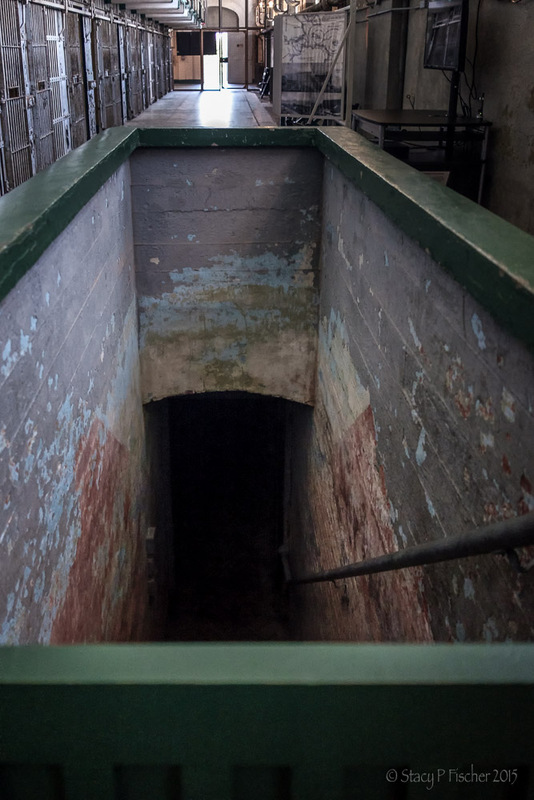 The entrance to the basement is via this rather spooky-looking staircase in A Block. 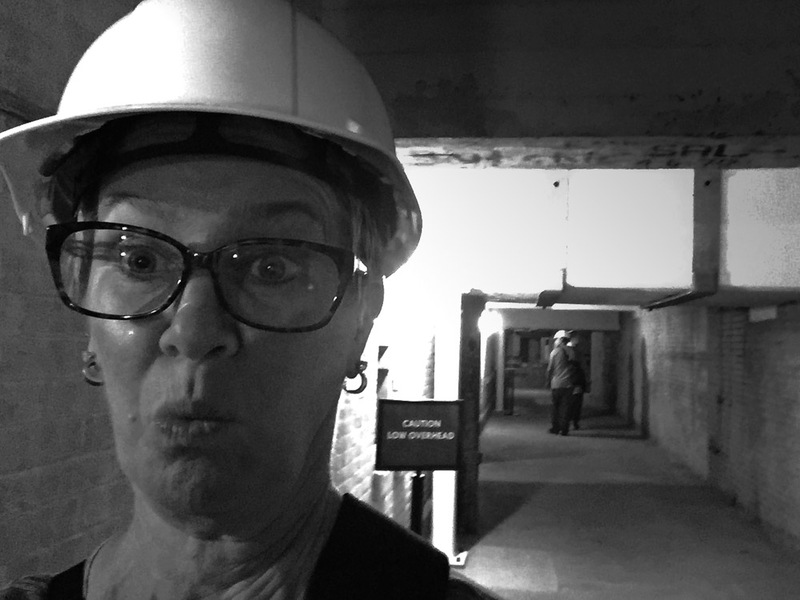 Seeing this reminded me of a line from National Treasure, a favorite movie: “Who wants to go down the creepy tunnel inside the tomb first?” Our guide, Rose, had to alert staff that she was taking us down there, and we all had to don hardhats as well. 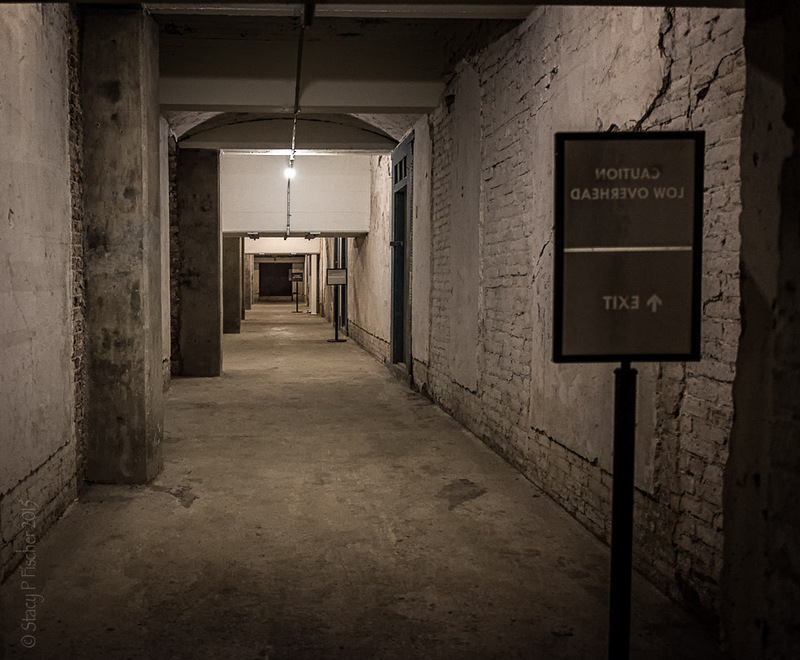 These alcoves (which originally had bars across the front), were used as punishment cells during the army’s time on the island and continued to be used in Alcatraz’s early penitentiary days. They had only a bucket as a toilet and no running water, light fixture, mattress, or furnishings of any kind. 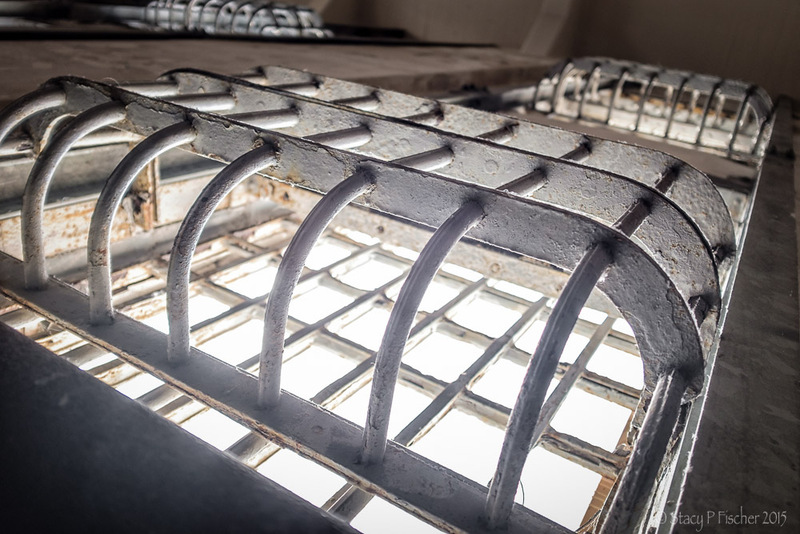 Inmates would be handcuffed to the bars in a standing position and given only bread and water. Every third day, they would receive a regular meal. And once the hall light was turned off, the cells were thrown into pitch blackness. Rose allowed us to experience this blackness when she did, in fact, turn off the lights. What was probably only 15 seconds seemed like an eternity, and had the two other visitors not been with me, I would have totally freaked. 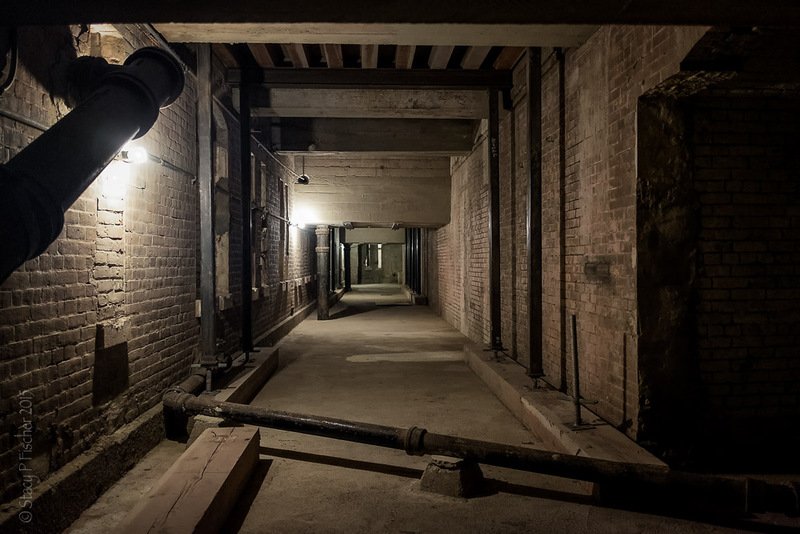 The rest of the basement consists of corridors (rather dimly lit at some points) and stone archways that lead to sealed off gun ports from the days when Alcatraz was a fort. Strange to see a bright blue door in this setting. Two posts left. Next: Alcratraz Hospital, followed by Alcatraz Night Scenes. 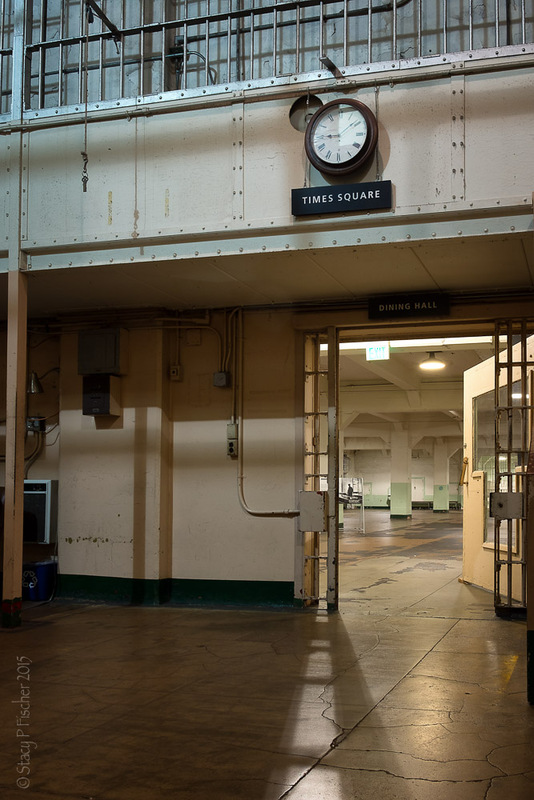 This entry was posted in California, Places, San Francisco and tagged Alcatraz Island, Alcatraz Prison, Fuji X100T, photography, postaday, travel photography. Bookmark the permalink. 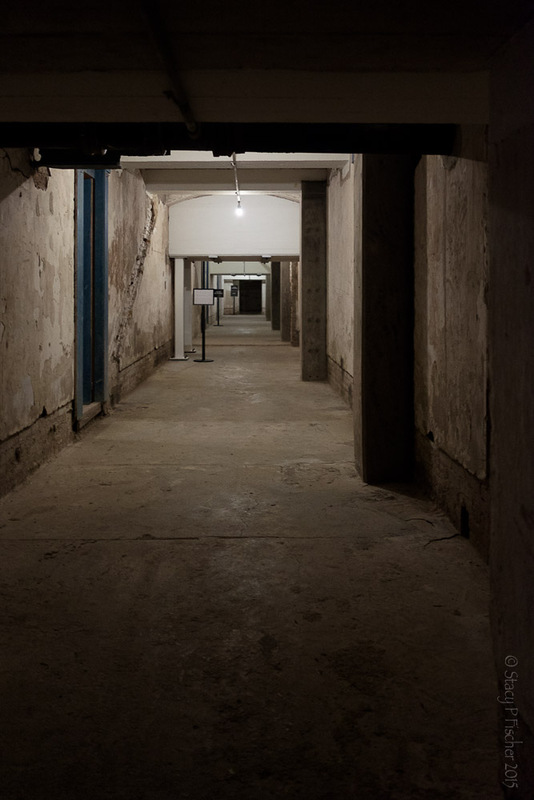 I can’t believe I missed this post Stacy 😦 Terry and I spent four and one half hours exploring Eastern State Penitentiary in Philadelphia so I could see us spending at least a whole day here. Outstanding images and post. Glad I missed this when first posted, otherwise I’d have nothing of yours to read and look at. Great photos and description. Can’t wait till I get to go back to San Francisco and see Alcatraz. Outstanding post and images! It’s interesting to see your reaction to being in the underground part with the lights off, how 15 second seems like an eternity. Thanks for sharing that because it’s so hard to imagine how bad it really is. Now I know! Actually I know a lot more about Alcatraz than I did before. Great job. Thanks, Nicci! I’m glad I could share what I learned. 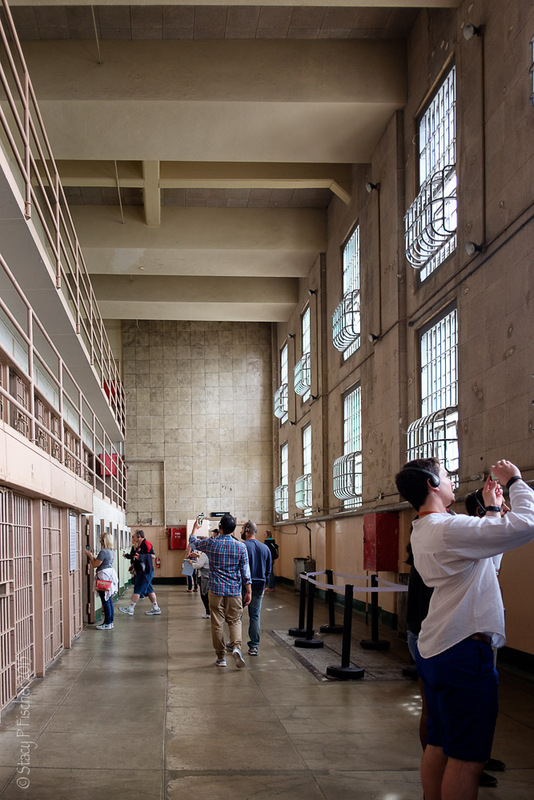 Alcatraz has such a compelling history and delving into it has been fascinating. I wouldn’t mind getting another chance to return. Happy New Year, by the way! I’m a “bit” behind on my blog (but the holiday hiatus was wonderful!). I visited a few years ago, so much I don’t remember seeing. 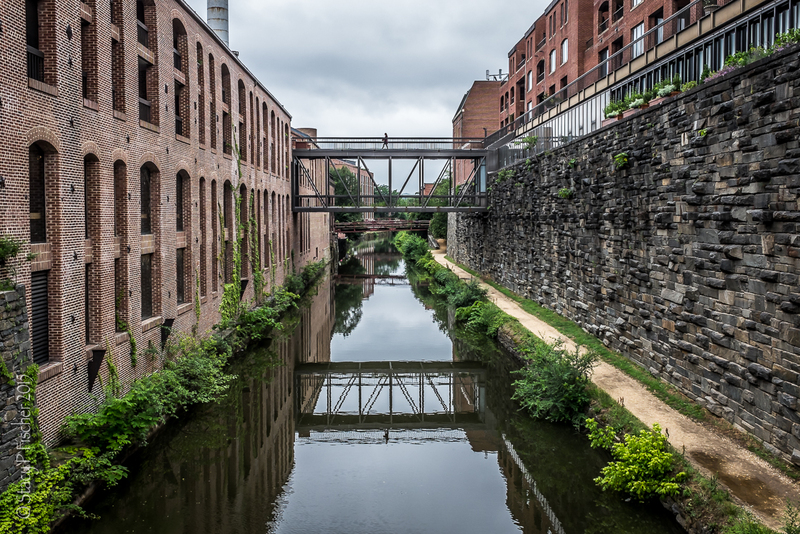 great images, thanks for the tour. You’re welcome, Janice! And thank you 🙂 Actually, despite spending so much time there, I still didn’t see and/or photograph everything I wanted to. It really is much bigger than most people expect. I’m hoping for the opportunity to return there next fall. Thanks for the walkaround. That was interesting. I like that they had a library with all those books. You’re welcome 😀 Reading apparently was a popular pastime after dinner and before lights out, when the inmates were back in their cells. Fascinating! But, I’m glad to see someone had a sense of humour (that was probably all that kept them going…) — the Dining Hall (the Gas Chamber) — ha ha ha — a sign of the quality of the food, perhaps?!! LOL. Your images give me a sense of coldness and noisiness and numbness…not a place I’d want to be. The way I see it, everyone on that island was a prisoner. Hi, Janina! So, I’m finally back on my blog and playing catchup. Can’t believe how far I’ve fallen behind. Alcatraz’s storied history definitely got its hooks into me. I’ve been fascinated to learn about it origins and transformations, and somehow, I feel as if I’m not quite done with it yet. I actually would welcome the opportunity to return. Return…Oh, I somehow thought you haven’t finished posting about it, just yet? Or maybe I’ve missed something. I’m not ‘into’ jails, having watched enough movies about it; however, Alcatraz’s island state makes it truly unique as a prison (except for Napoleon’s Elba and Australia’s forerunner as a penal colony. I did like The Shawshank Redemption ‘tho, having seen it a few times now. Tim Robbins character, along with Morgan Freeman as his close friend, shows us about hope in a hopeless situation and remaining alert and wise when the opportunities arise. Here’s some more info. about it: https://en.wikipedia.org/wiki/The_Shawshank_Redemption. The other movie about prison I really like, with Tom Hanks, is The Green Mile. Both Stephen King stories. I loved “Shawsank”! Who can forget the scene of Robbins playing the record over the public address system. “Green Mile,” however, is one I haven’t seen, despite loving Tom Hanks. I should put that on my list for 2016. And, nope, you’re not confused. 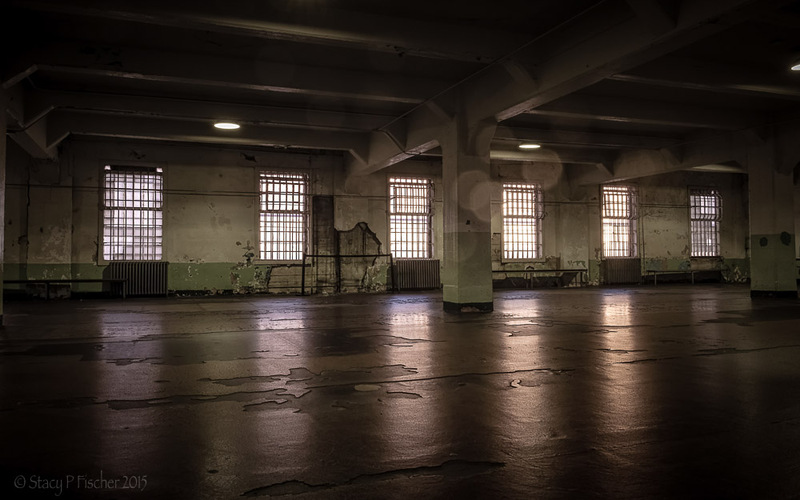 I still have two Alcatraz posts left to write – one on the hospital and one with night exterior shots from around the island. Perhaps I’ll get to them before February! 😃 Can’t wait to see it! Beautiful pictures. Horrifying history and treatment. I’m with Pauline. Great fun tour Stacy – am I allowed to say that? I mean I know it was a miserable place but I love your gorgeous lines and pools of light in many of the shots. The selfie is the cherry on the cake!!! Oh my god – it’s horrendous! I would never want to be in there the misery and anger and awfulness must be soaked into the very walls! It’s a strange thing, being there, Pauline. With crowds of people milling around plugged into the audio recorders listening to the tour, it’s strangely quiet and very surreal. I removed my headphones at times just to better take it all in. 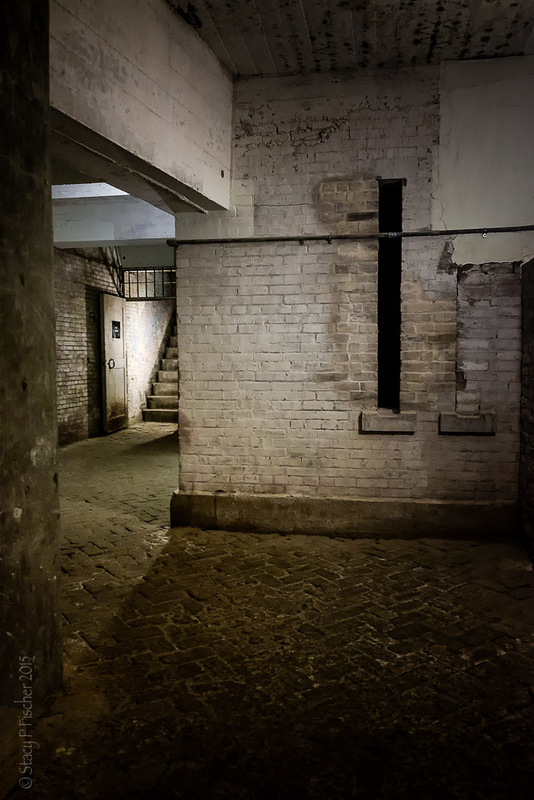 The basement, the solitary cells, and the hospital ward (yet to be posted) “spoke” to me the most and left me the most unsettled. I think it speaks to the power of your photography that I had that response – so far away and still completely unsettled!! Fantastic photos. 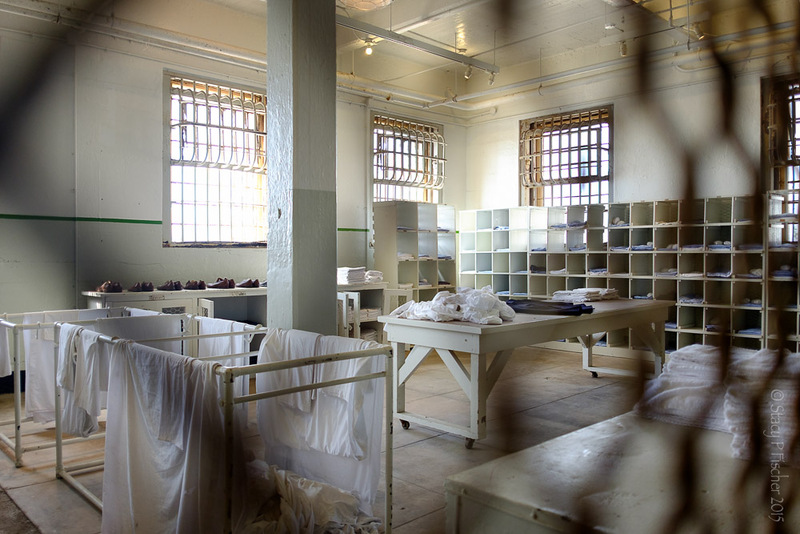 It is hard to imagine that people actually lived in these cells. Love your selfie. Happy New Year, Joanne! Finally getting back to my blog (and can’t believe how far behind I am!) LOVE “The Rock” AND Sean Connery! (My middle son is actually named for him 😃) As for your trip to Alcatraz, yup, I think it has everything to do with visiting with your young ones in tow! Thanks, Robin. I’m definitely playing a lot of catchup on my blog. Can’t believe I hadn’t responded to these comments before now (yikes!). But, yes, it always pays to ask! As for Stanley Goodspeed, nope – it was John Mason (I wish 😉). Thanks for the photographic tour. I’m glad you managed to get so many shots without other people in them. I definitely need to return to Alcatraz now as my tour back in 2000 did not include the basement. Happy New Year, Laura! I’m now back on my blog and playing catchup, so apologies for the late reply. I’m glad you enjoyed the shots. 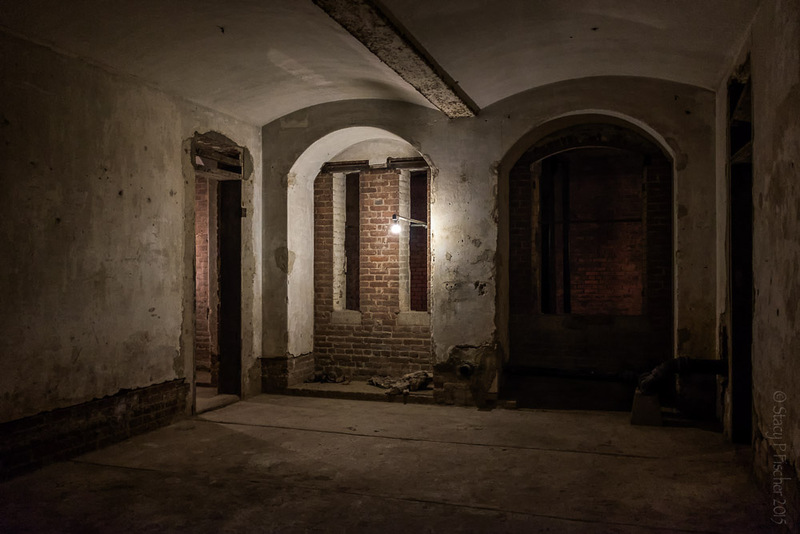 As for the basement, I’m not sure it’s yet “open to the public,” though it’s my understanding that it will be. I was just very fortunate to have found a volunteer to take me through! Lucky you! Happy New Year! PS No need for apologies. We all have to have lives away from the blog or we would have nothing to blog about.